The famous lemons of Sorrento are a sight and taste that’s synonymous with Italy. On your Italian vacation they’ll refresh your eyes when you see them growing in the countryside and they’ll definitely refresh your taste buds. Although they are exported all over Europe and the USA – there’s nothing quite like tasting them here, on Italian soil. The Sorrento lemon, one of the best lemons in Italy, gets its name from the town of Sorrento, southern Italy. Records suggest that the Jews brought the fruit to Campania in the first century. In subsequent excavations of Pompeii, lemons – which do resemble today’s Sorrento lemons - are visible in mosaic artwork of the period. In the 1600s, the Jesuit Fathers cultivated the first lemon groves on the Sorrento peninsula and they have been thriving ever since. They are a part of life in this beautiful part of Italy. Most local families will have cultivated a plot of lemons for themselves. They are celebrated for their flavour and health properties. Full of Vitamin C, and complementing the blue backdrop of the coast with their bright yellow skin, lemons also have environmental properties since they protect and benefit the soil. Sorrento lemon trees will also grow on slopes so steep that it can be difficult to grow anything else. Some Sorrento lemons are exported from Italy to other parts of Europe, but the vast majority stay in Italy for consumption here. That’s why to really appreciate the Sorrento lemons, it’s best to taste them here in Italy. 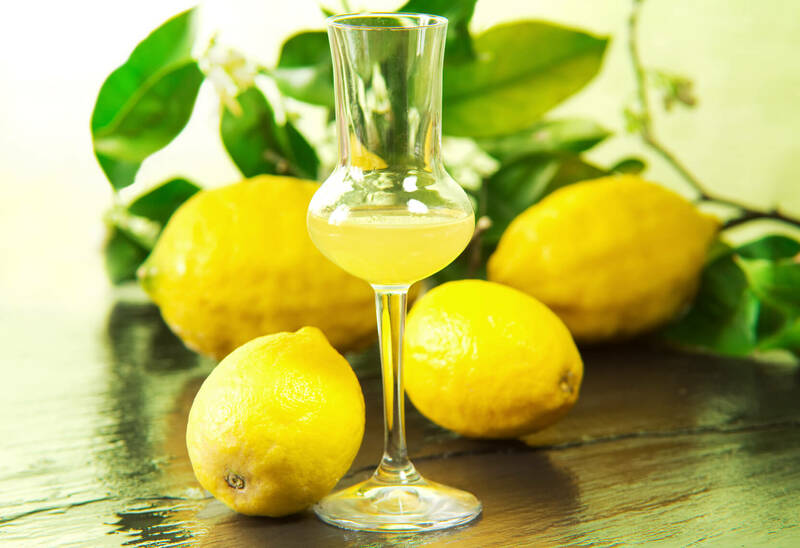 Just under a half are used for fresh consumption and over half are used to make the famous Limoncello – the famous liqueur from the Amalfi region. You’ll find lots of little shops in the region that make the drink – carefully honouring old recipes from generations before – and step inside and you might be offered a little sunshine in a glass. You will have plenty of opportunity to sample the Sorrento lemons – the best of Italian lemons – on an Italian vacation. Sample some limoncello, taste their lemon juice beautifully complimenting the local seafood or experience the infamous lemon cake the Torta al Limone during your stay in Italy. At Avventure Bellissime – the Italian tours and Italian holiday expert – you can experience all of this with our 12-day magic of Italy package, which takes in Sorrento as well as Rome, Tuscany, Florence & Venice, or our 8 day Rome, Amalfi Coast and Florence trip. If you are thinking about taking an Italian vacation, then please do visit our website at tours-italy.com to find out more about our Italian vacations which take in Sorrento, as well as our other tours of Italy’s main tours. Also, if you are looking for some travel inspiration be sure to check out our other blog posts at tours-italy.com/blog/ It’s a great read about all things to do with Italian holidays– like this post as well as posts about Capri, following in the footsteps of Romeo & Juliet in Verona, insights into Rome’s Colosseum and the Spanish Steps, how to save money when visiting Italy, the must see sights in Venice as well as why you should consider visiting lesser well known cities like Bologna. It’s a great read about all things Italian and Italian holidays!